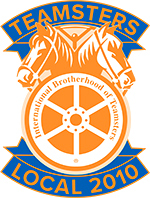 Teamsters Local 2010 represents 14,000 administrative support and skilled trades workers employed in higher education throughout the State of California – this position offers a unique opportunity to tell their story. The position will report to the Secretary-Treasurer and be based out of the headquarters location in Oakland, California. Write press releases, social media content, articles, brochures, flyers, speeches, talking points, and other organizational materials, as assigned. Attend and cover critical meetings and events as directed by the Secretary-Treasurer or designee. Graduation from an accredited four-year college or university with course work in journalism, communications, political science or related field. Experience in labor, political or community organizing and campaign or a combination of education and experience that would provide the required knowledge, skills and abilities. The Communications Coordinator is considered ‘at will – exempt’ in that they are a member of senior staff and may supervise administrative staff and interns; have access to confidential information; input on operational decisions internal and external strategies; and exercise independent decision-making authority. To Melissa Munio at: mmunio@teamsters2010.org. Incomplete application packets will not be considered.